At the close of each day, the fading sunset gives way to the gradual appearance of the moon and stars, as the terrestrial is eclipsed by the celestial. This portrait of peace is a reoccurring model that God designed. 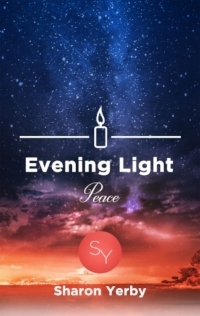 “Evening Light: Peace,” by Sharon Yerby, is written to draw your attention upward, above and beyond the pressures of everyday life and bring you into a dimension of perfect peace. As the curtain draws on your busy day, you have a choice of how it will end. Choose peace. Surrounding myself with worship not only strengthens my time of prayer, but it creates an atmosphere that produces intimacy with God. 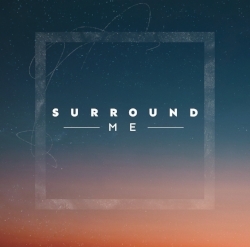 "Surround Me” is a collection of instrumental selections that includes some of my favorites that I know will bring peace to your life! Allow the Lord to surround you with His presence today. Sharon Yerby will be announcing her 2019 event dates soon. Stay tuned to find an event near you. Visit Sharon’s blog for practical and relevant content on issues we all face, questions we all have and a unique perspective on the current political climate in America. Hosting an event you’d like Sharon to participate in? Click below to fill out a short event request questionnaire. and an evangelical renaissance like never before, partner with us.